I'm a freelance writer addicted to cycling and coffee. 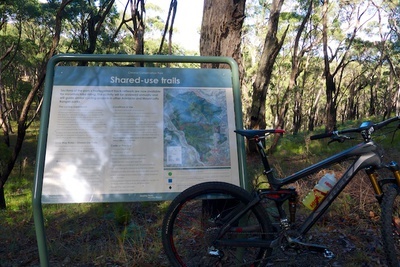 Shared use trails signage including map and code of practice. Riding in Cleland? Isn't that illegal? Well, not any more. DEWR recently opened up the trail network in Cleland to bikes as part of the new People and Parks strategy. 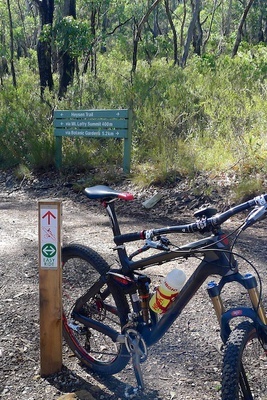 This gives riders access to an extensive network of fire trails through some of the best bush in the Adelaide Hills. Thats right, you can get your mountain bike good and dirty just a few km out of the CBD. 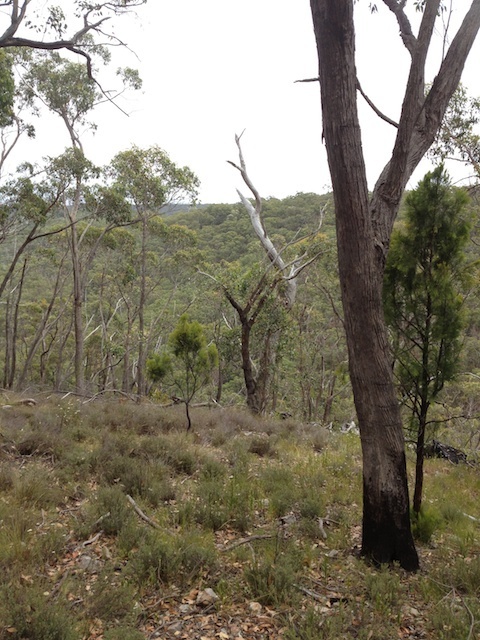 Enjoy the natural bushland on your doorstep. Your first point of call before you commence your Tour de Cleland is the DEWR web site to download the Shared Use Trail Guide. Take a copy of the guide with you. If you have a smart phone download a copy of the pdf on it as you then have a scalable map by which to navigate. If you have access to a GPS either hand held or bike mounted such as a Garmin 800, this is very handy to help you navigate around the park and to get you home. Riding in Cleland gives you access to hidden valleys, native woodland, wildlife, and fantastic views back to Adelaide and secluded tracks. Oh, and lots of exercise from all the climbing. All of this was previously only accessible to walkers but why walk when you can ride? On the Bartrill Spur Trail climbing from Chambers Gully. So, where should I start my ride? There are lots of options. 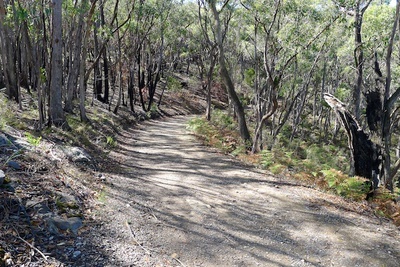 For my first ride into the Park, I used the Chambers Gully trail head off Waterfall Gully Road. More recently I accessed the trails from Reynolds Drive off the Mt Lofty Summit Road using the Nangara track having ridden up from Belair National Park. 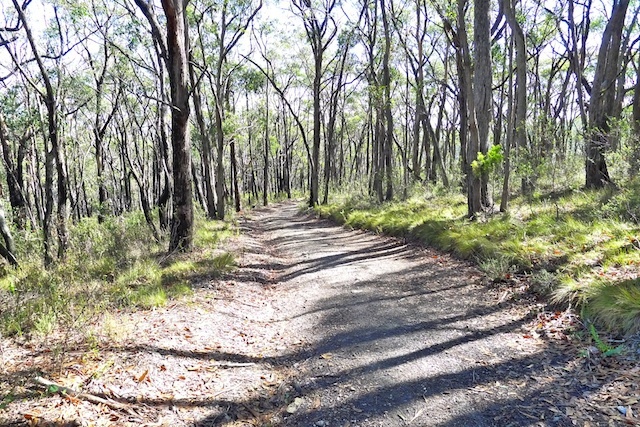 Immerse yourself in the woodlands of Cleland. 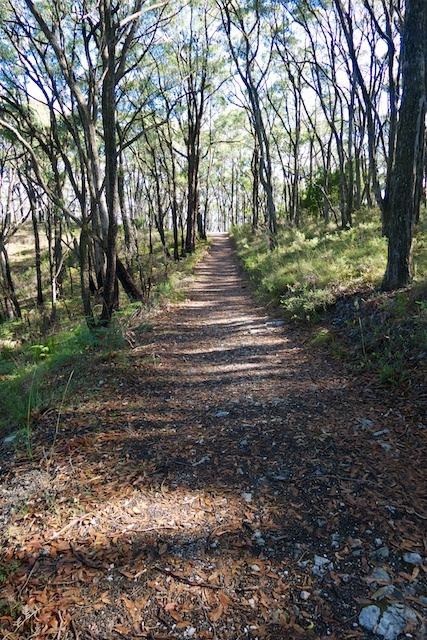 Other options include, riding up the Crafers bike path to Measday Lookout or driving and parking at Measday Lookout, Crafers, Cleland or Mt Lofty Summit. If you love the idea of going downhill but not grinding up the hills, ask a loved one to drop you off at the Summit. 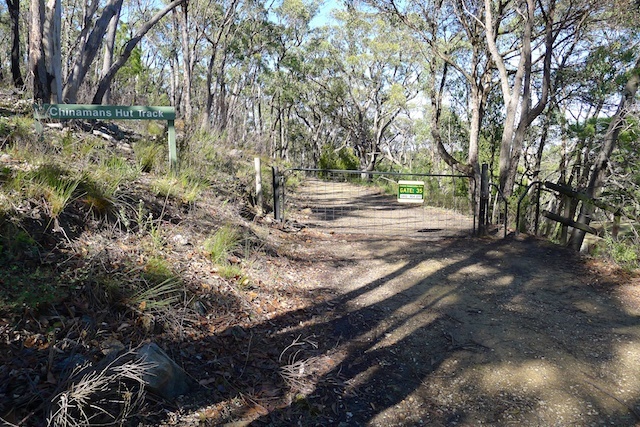 Note that the Waterfall Gully to Mt Lofty Summit trail is for walkers only. It's clearly marked in red on the shared use trail map. Trails are well sign posted. The trails are, for the most part, well marked and classified as green, blue or black using the IMBA standards. Most trail heads are signposted with the shared use trail network map. 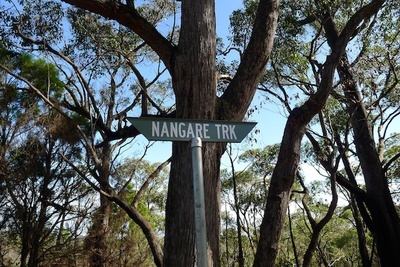 In Cleland, these classifications reflect gradient as the trails are all existing fire tracks and not technically difficult in regard to track surface. Stay off the black trails unless you are experienced, confident and fit. Trail signage. No bikes on the Waterfall Gully to Summit trail. Before riding, ensure your mountain bike is in sound work condition, especially the brakes and tyres, that you have a repair kit and adequate water. Mobile phone reception is patchy so make sure someone knows your plans and expected return time. 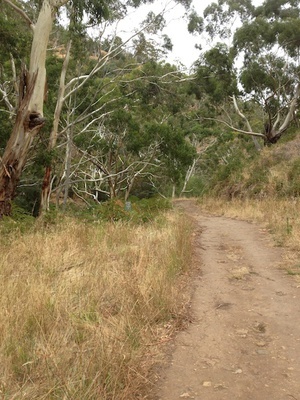 A nice loop ride is to commence a steady climb at Chambers Gully reserve off Waterfall Gully Road. 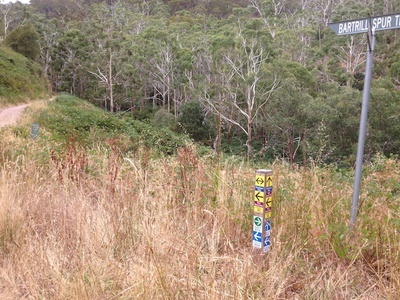 Take the Chambers Gully track to Bartril Spur and then Long Ridge (Green and Blue). This will drop you out at the Cleland Wildlife Park where you can grab a coffee and contemplate your descent. 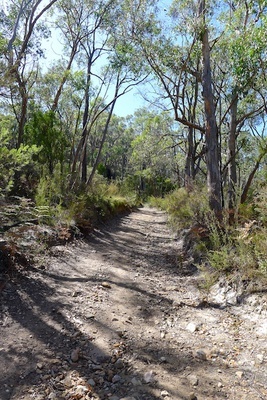 To return you can head down Wine Shanty and then Chamber Gully Loop (black trail). This would give you a round trip of about 16km and 1.5 to 2.5 hours. The black trail on this route is steep and a little loose so you may choose to return down Long Ridge, Bartril and Chambers. Chinamans Hut track is another good option with great scenery, dropping you out at the Measday Lookout. 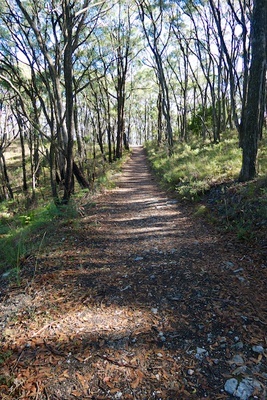 Chinamans Hut Track. Note the step through for you and your bike on the right of the gate. Riders are rewarded with beautiful views back across Adelaide and the Gulf. While you are grinding your way up Chambers Gully, take the time to take in the beautiful bushland surroundings, secluded valleys and wildlife. On my climb up I was lucky enough to see a southern brown bandicoot and lots of blue wrens and currawongs. If you want to ride Cleland but are feeling a bit unsure, try, Escape Goat tours. 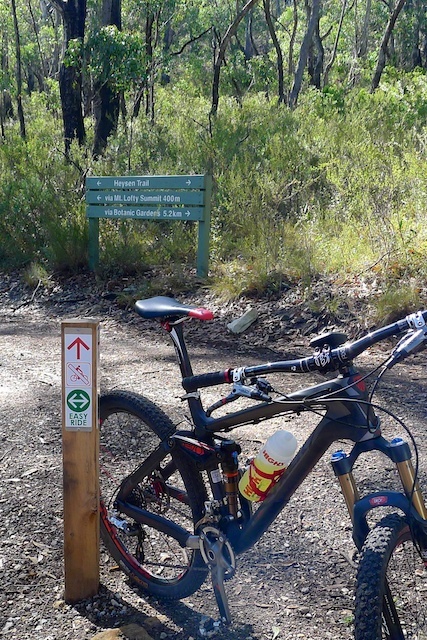 They offer a descent from Mt Lofty Summit for $99 including an experienced guide, transport from the CBD, entry to the Wildlife park, morning tea and bike hire. Escape Goat also offer mountain bike skills sessions. Some tracks can be quite steep and loose. Ride within your abilities. So, grab your mountain bike and head for the hills. 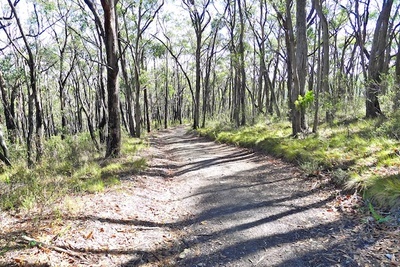 These shared trails provide a unique way of taking in the Cleland Conservation Park. Please slow down and be courteous to walkers so riders can continue to share these amazing trails. Why? Ride for fun, fitness and to see a different side of Cleland. Cost: Free unless you choose to enter the Wildlife park itself.